On Friday, Feb. 1, metal band Bring Me the Horizon came to UMass Lowell to perform at the Tsongas Center. They are currently on their First Love World Tour in support of their new album “Amo,” which came out on Jan. 25. After two opening acts, Thrice and Fever 333, Bring Me the Horizon took the stage around 9:15 p.m. They performed a set of 16 songs, a near even split of songs from their three most recent albums, “Amo,” “That’s the Spirit” and “Sempiternal.” They opened with “I Apologise If You Feel Something,” a quiet, brooding intro to their most recent album. It is a decent enough song and served as an effective intro to the show, but in the end, it only really felt like a lead in to their next song, “MANTRA,” the lead single off “Amo.” As the show went along, they wove between newer songs such as “Wonderful Life” and “Medicine,” as well as older fan favorites including “Antivist,” “House of Wolves” and “Shadow Moses.” Despite the sonically lighter tone of their newest album, almost everything flowed together extremely well. The only songs that felt particularly out of place were “Nihilist Blues” and “Follow You,” both of which, despite being extremely good songs, just did not fit in well with the heavier style of the rest of the show. This may have been an issue due to a close positioning to the amps, however, the instrumentals seemed to drown out the vocals of their lead vocalists, Oliver Sykes, a bit too much. This issue especially arose during “Antivist,” a song known throughout the metal industry heavily for the impressive screams throughout. For most of the song, it was near-impossible to hear if anything was even coming out of his mouth among the overpowering instrumentals. The clarity of his voice in softer songs such as the acoustic rendition of “Drown” suggests that this was an issue with the noise of instrumentals more than anything else. Despite this issue, most of the songs were still very well done. 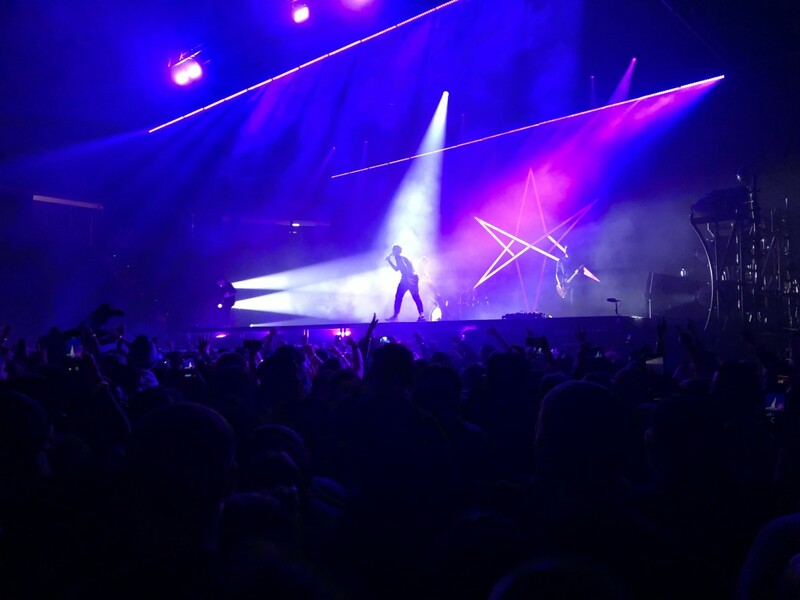 One of the major components of metal concerts are the culture of people who push their way to the front of the floor to participate in activities such as mosh pits, circle pits, crowd surfing and other potentially dangerous activities. While these situations are very easy to avoid by simply being farther back in the crowd, the effects of it ripple throughout most of the crowd. People who crowd surf to the front need to walk around and end up in the middle of the crowd, then charge back up to the front through the crowd, which can be extremely distracting and irritating when simply trying to watch the show. Sometimes, an overly heavy concentration of people near the front can result in these people pushing forward reaching a dead end, which started to happen a lot near the end of the show, which pushed the surrounding crowd further and further back, Additionally, when wide pits are opened up, a lot of the surrounding crowd can get pushed back a bit here too. While these activities were probably fun for those who wanted to partake, the near-constant barrage of people trying to push past took away a bit from the experience of the concert. Despite these technical and experiential flaws, Bring Me the Horizon was, as a whole, incredible on stage. They brought energy, passion, and talent all together to put on a mostly fabulous set that translated extremely well live, with only a few hiccups. The entire band was clearly dedicated and engaged throughout and were fabulous at keeping the crowd consistently engaged. This was a must-see set for fans of the band and genre, though likely alienating for those who are not.